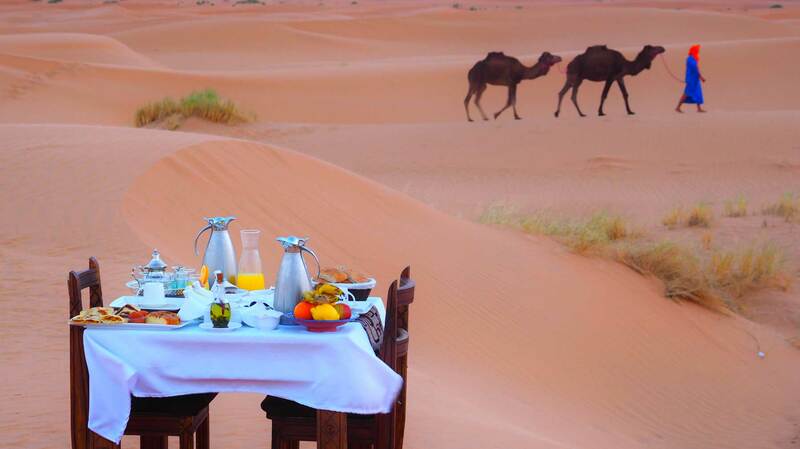 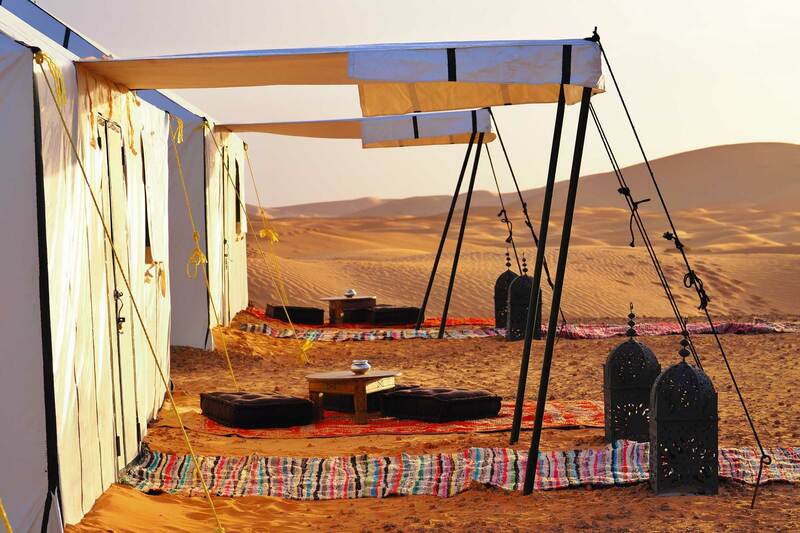 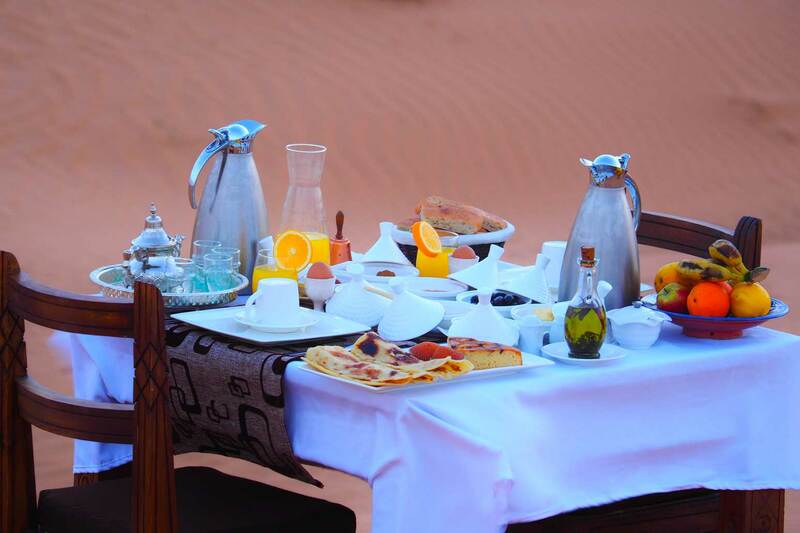 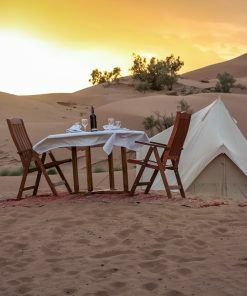 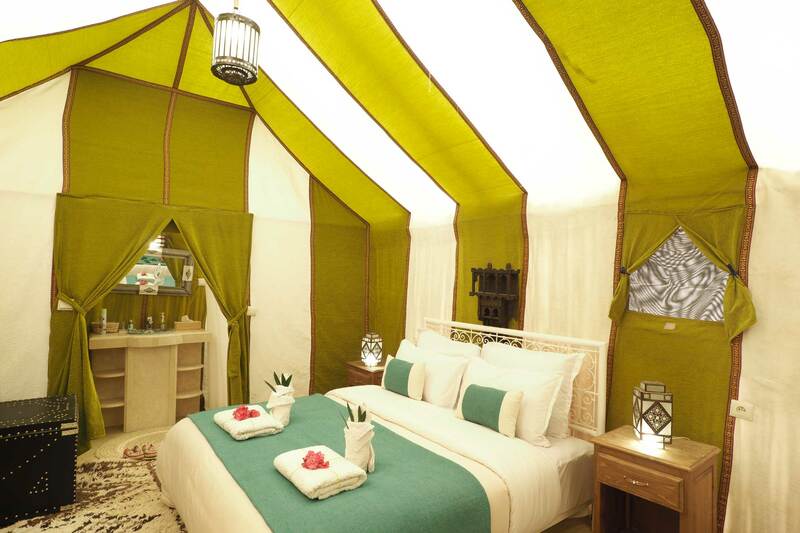 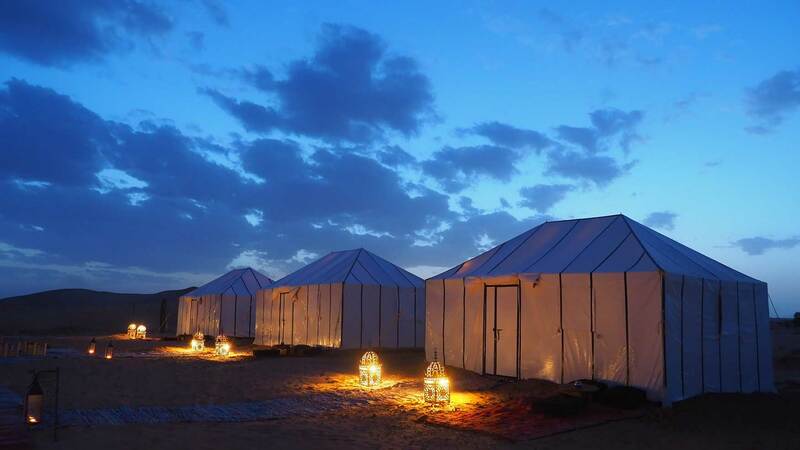 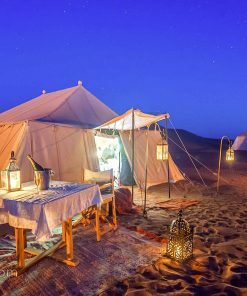 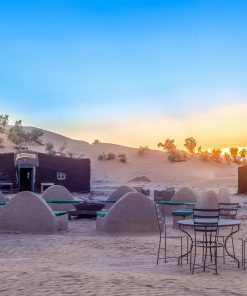 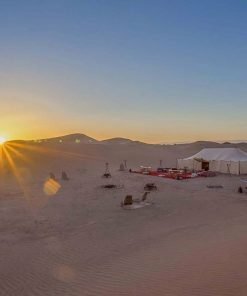 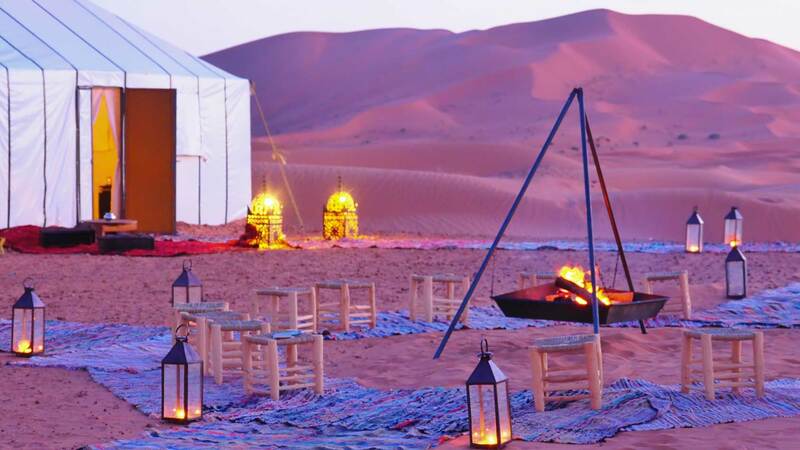 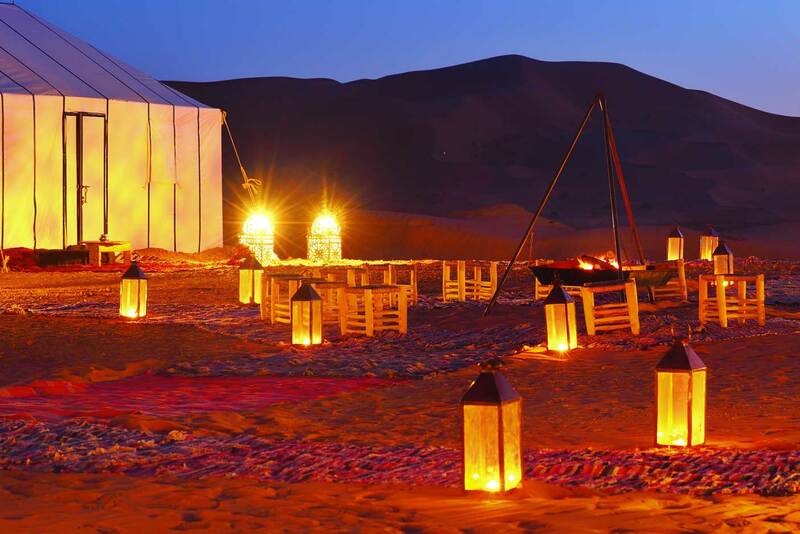 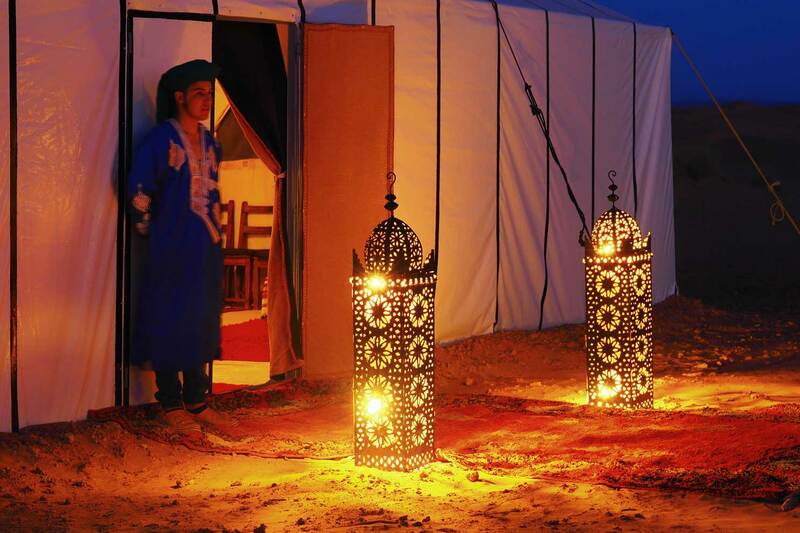 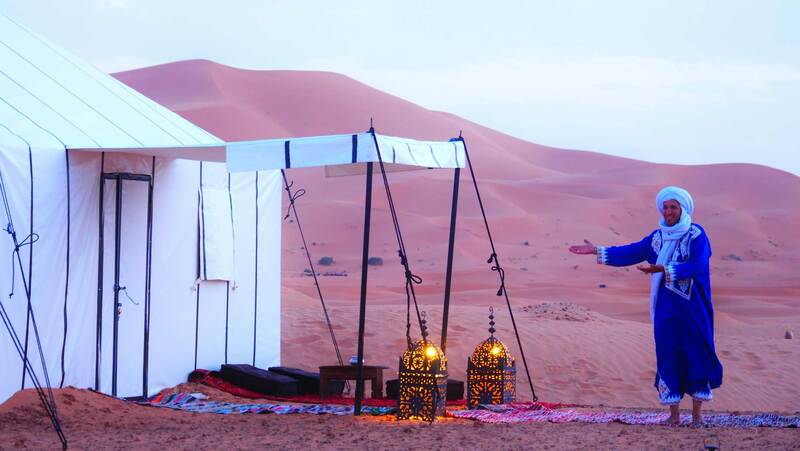 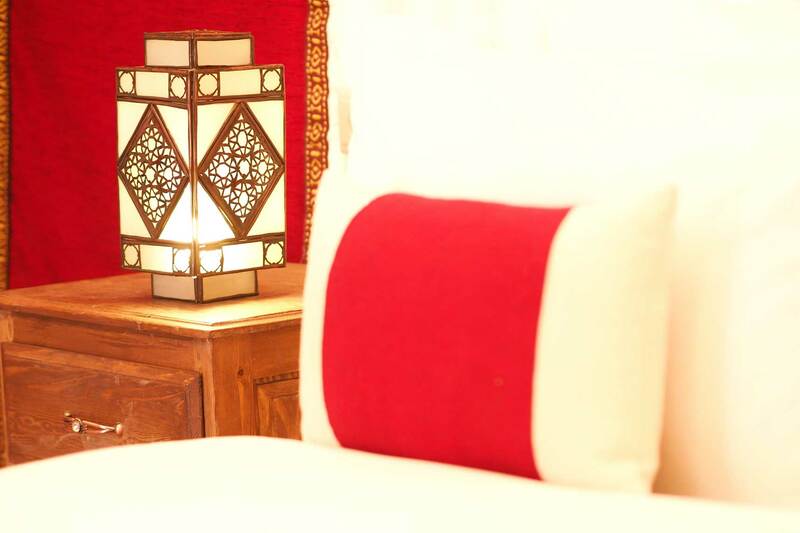 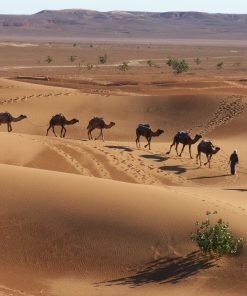 Luxury camp Merzouga is located in Erg Chebbi, in the middle of the desert of Merzouga. 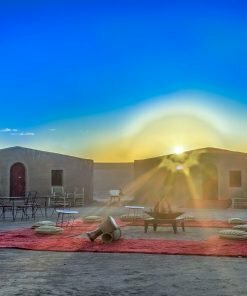 A unique space where you can enjoy tranquility and Berber hospitality. 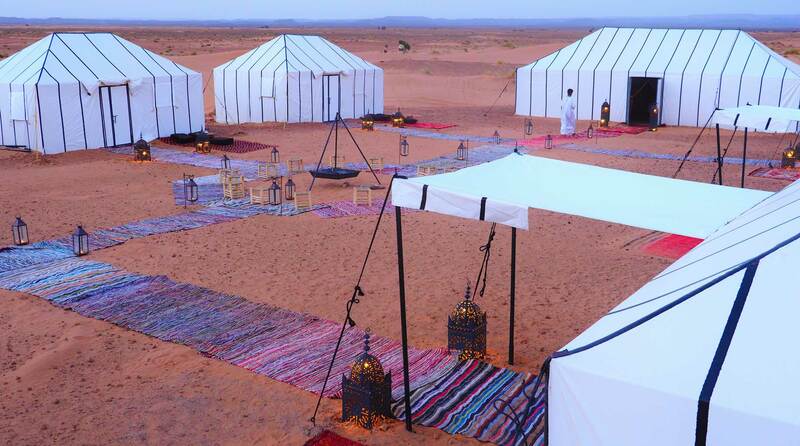 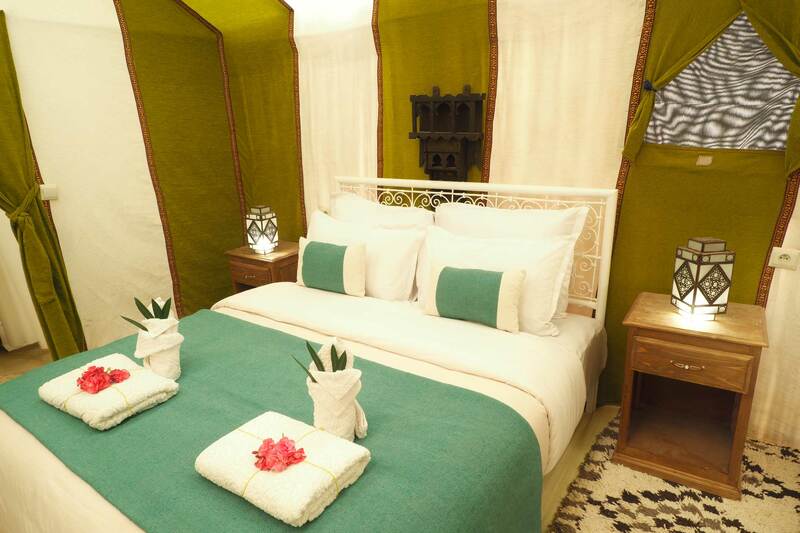 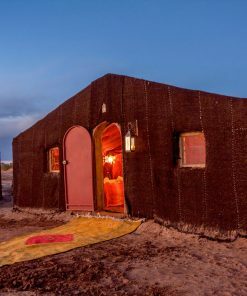 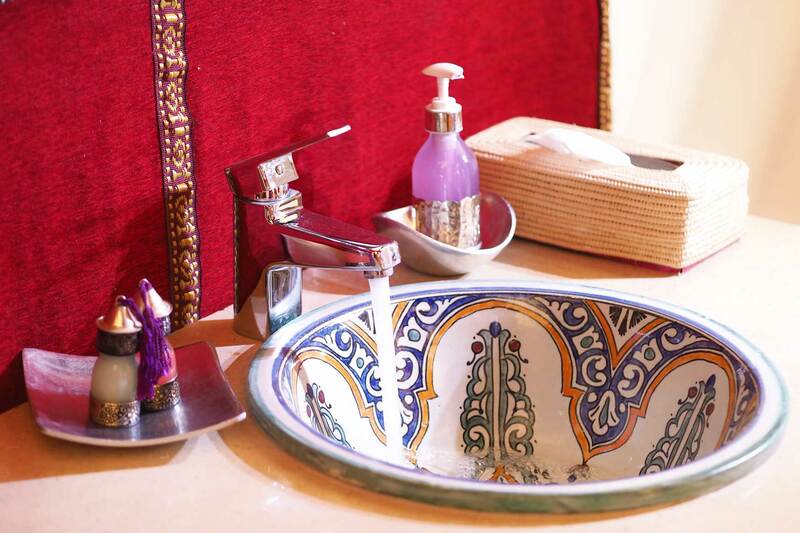 The camp offers a balance between traditional Berber design and current comfort. 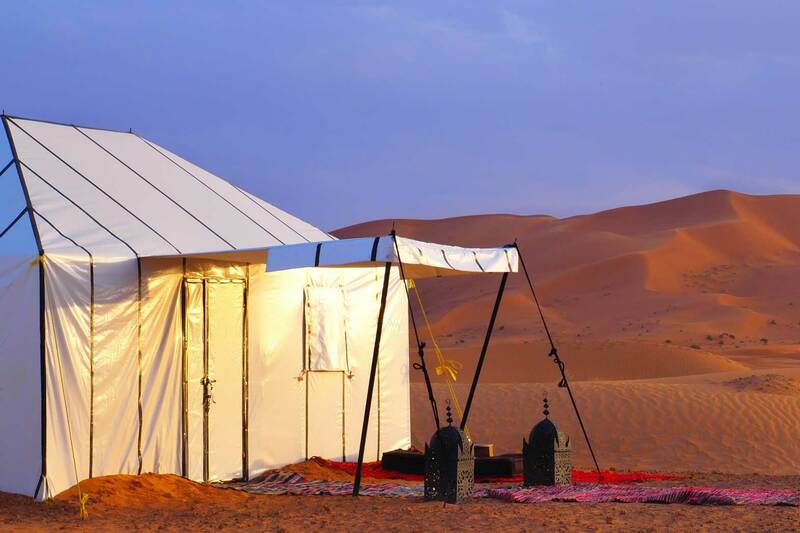 It has 6 luxurious and spacious fully equipped tents. 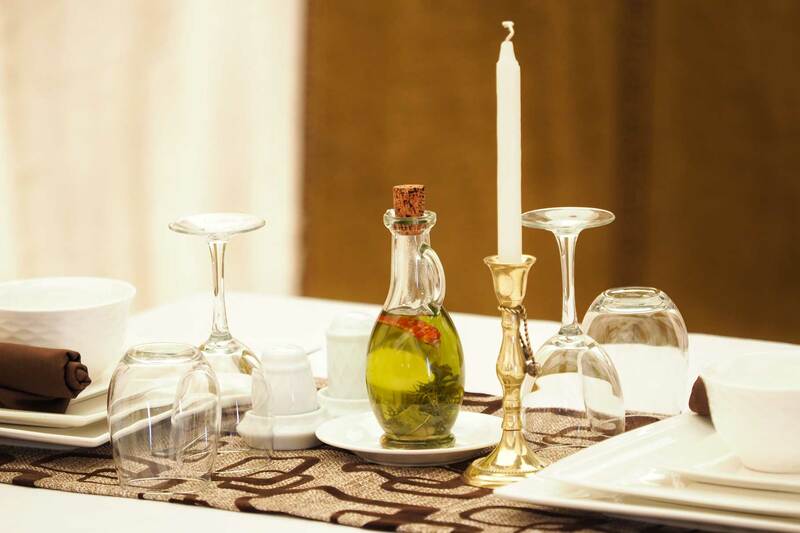 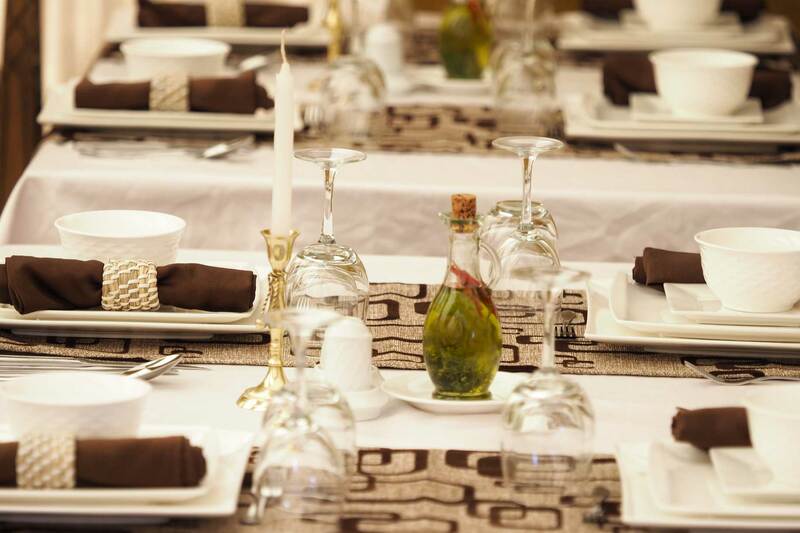 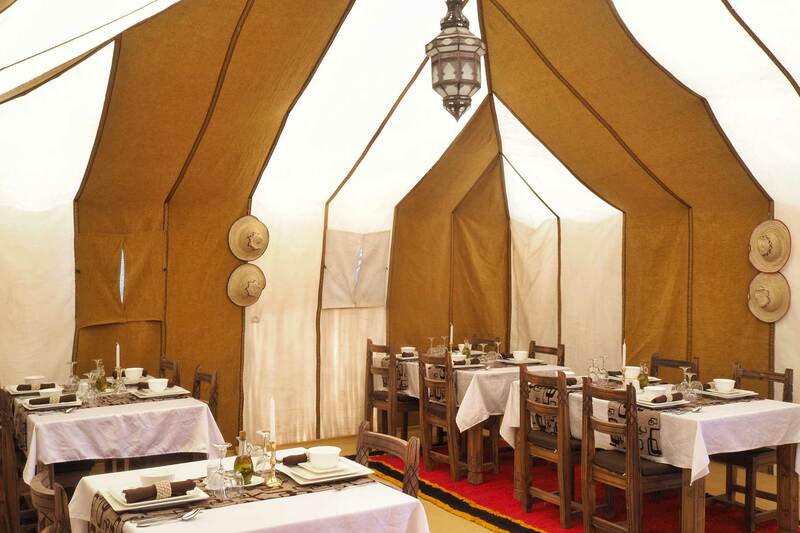 The camp has a large khaïma restaurant where you can enjoy Moroccan culinary specialties. 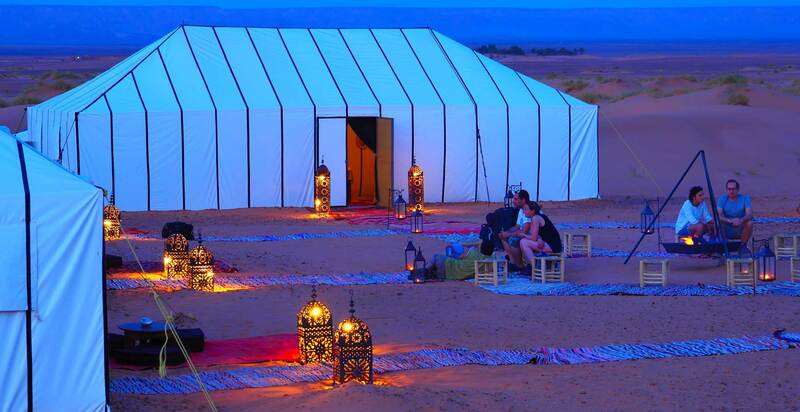 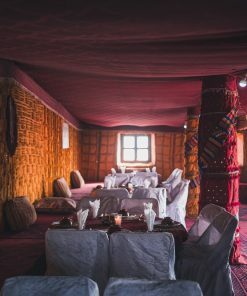 The Luxury camp Merzouga also has a traditional Berber khaïma where you can enjoy a unique moment. 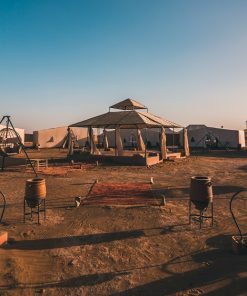 In the evening you can enjoy an unforgettable evening, accompanied by traditional Berber music, under an incredible sky filled with stars. 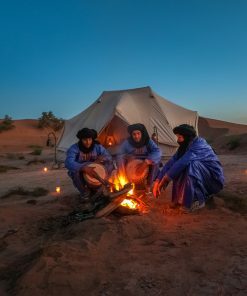 One of the highlights in the Sahara desert is the sunset and the sunrise, a view not to be missed. 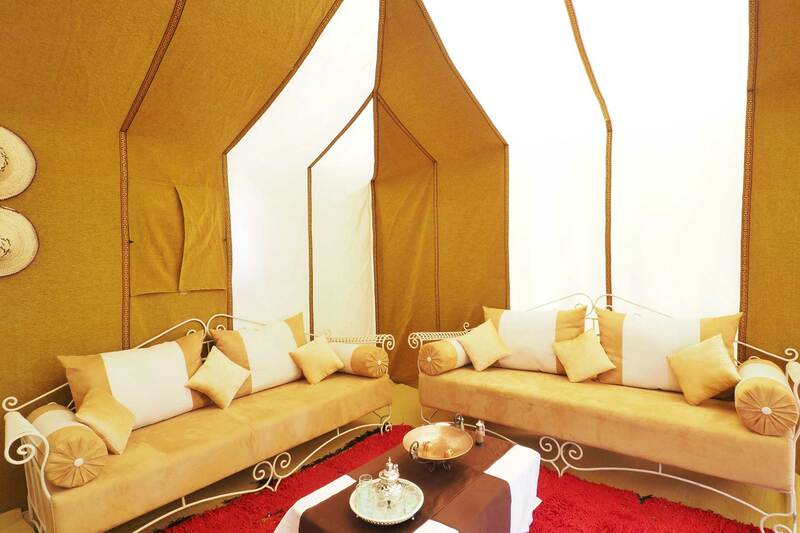 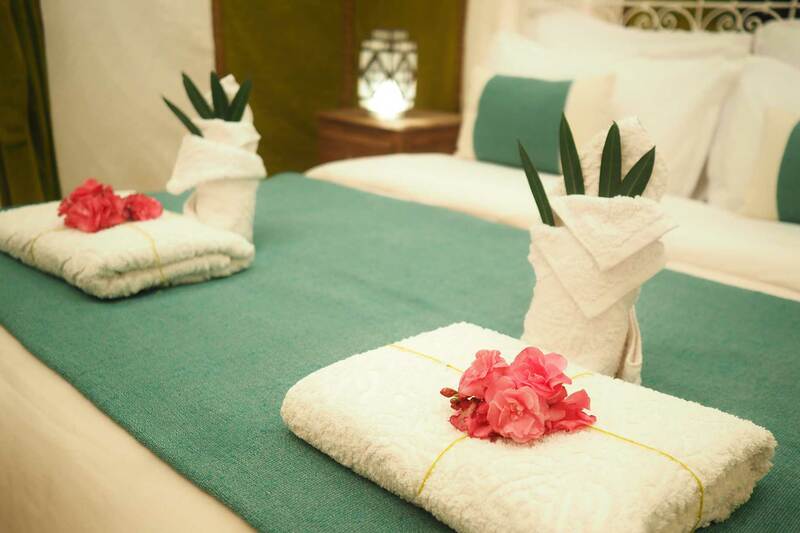 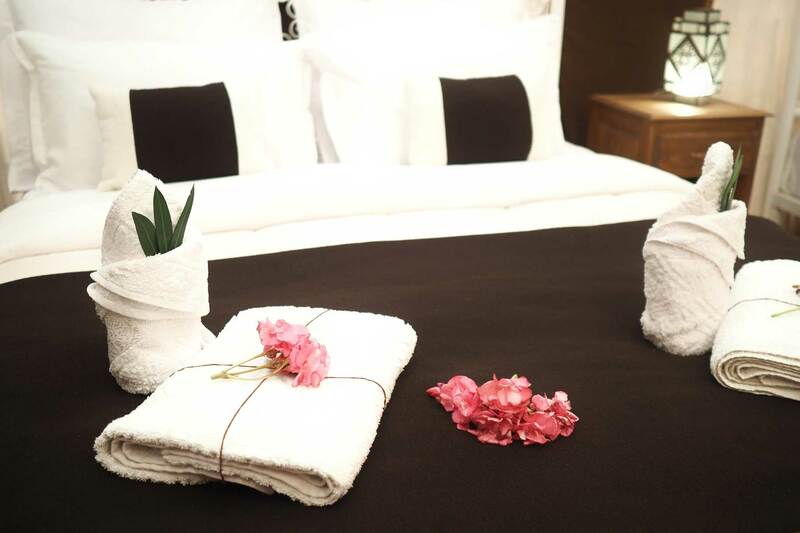 The camp has 6 luxurious and spacious tents with a full bath and a hot / cold shower. 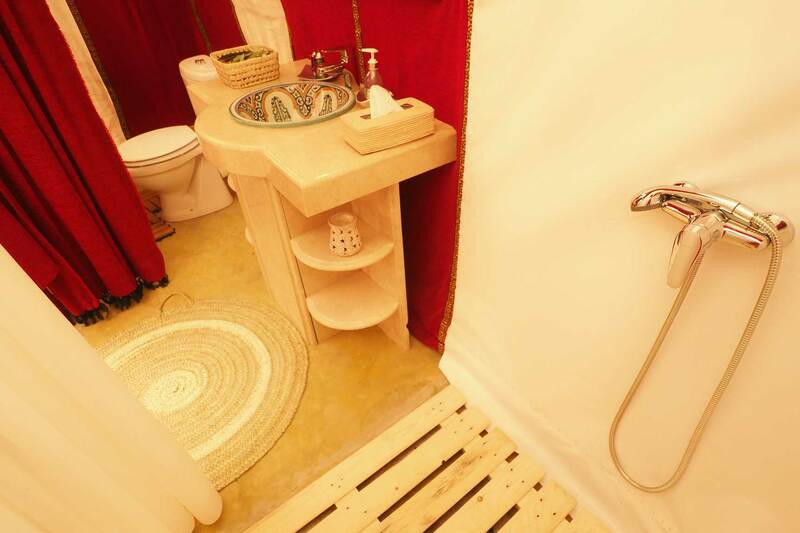 All equipped with electricity thanks to solar panels. 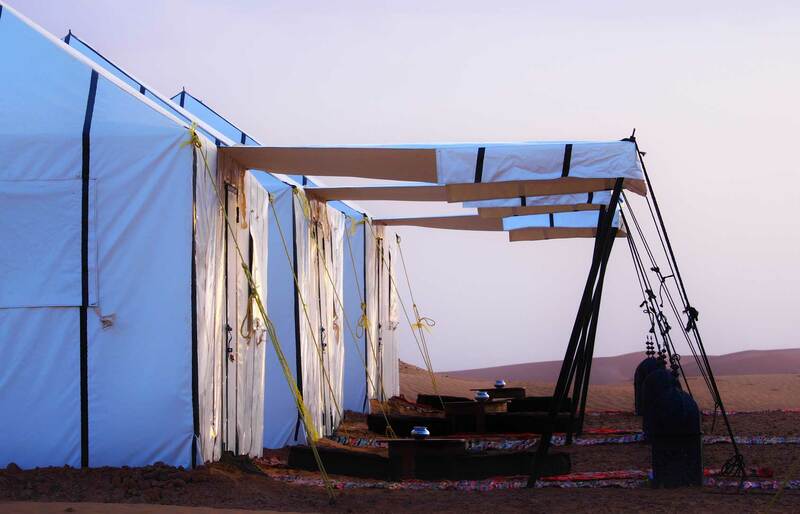 The capacity of our Bivouac 24 people maximum. 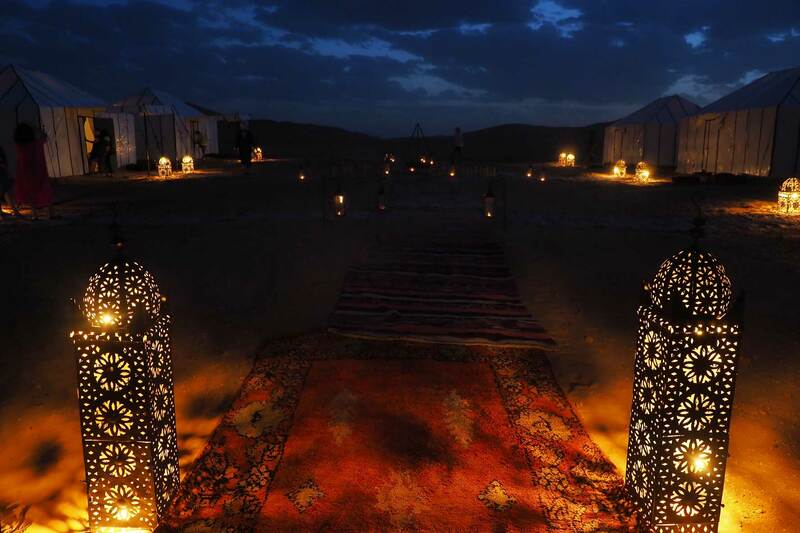 Animation area: Campfire, Ambient lighting by lantern and candles.